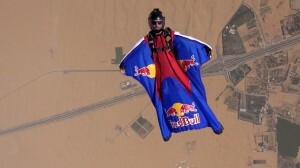 Follow wingsuit proximity flyer Jokke Sommer on a training camp to Skydive Dubai. Skydive training is essential in the sport of wingsuit base jumping. Discover wingsuit and freefly training with the best of the best: Vince Reffet from Soul Flyers and Petter Johnson in the wind tunnel. Stay tuned for the second episode, next week! The Soul Flyers Fred Fugen, Vince Reffet and Jean-Phi Teffaud are back with more FreeFly BASE from 2011. Some tracking action in Switzerland, and more FreeFly moves in Norway: 3 way head down star flipping to head up, 4 way head down carving, and the famous “head to head”!! Discover the new video project of the Red Bull Soul Flyers in Norway! From a 3280 feet cliff, Fred Fugen and Vince Reffet, 3X Freefly world champions, impress with their jumps and combos … Once again, they push the limits of “Freefly Base” with some technical prowess and exceptional tricks!